This new group is a collaboration of craftswomen and artists from in and around West Cumbria, who create and produce beautiful items, which are being exhibited for sale, in a new pop up shop over the next three months. Open Tuesdays to Saturdays, 10am - 4.30pm until the end of the year. on Monday 16th July , just two days before the big day we celebrated with friends, clients and new friends alike. We celebrated with pots and pots of MANDELA TEA, in all four varieties, cake and the well tested and tasted Koeksisters cake (it's like a donut but in my book even better) which is a plaited cake which is deep fried and drenched in sugar and syrup Oh my goodness, heaven on a plate. We were so happy to welcome over 80 people to the event including a few expats, who added to the atmosphere. 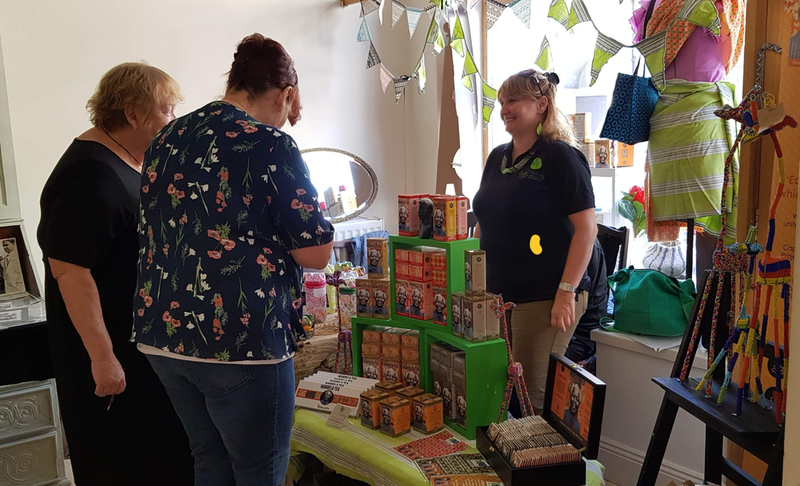 Zuza Trading had a small pop up shop on the day, selling MANDELA TEA as special prices for the event, along with a selection of South African crafters' homewares,tote and makeup bags, keyrings, KEEPets, I-pets and felt goods. It was so successful we are planning to have a few more similar events around the county in the Autumn, especially the run up to the Christmas season offering our Christmas decorative range - so please do watch this space for more details on pop-up events . How many loose items to you have in the bottom of your handbag, in the kids school bags, in the car or in your man drawer? I've just checked my current handbag and I have a couple of batteries, three lipstick, 7 pens, 2 tangled string earphones, 1 charger, loose change and a few pieces of jewellery I had thought I had lost! 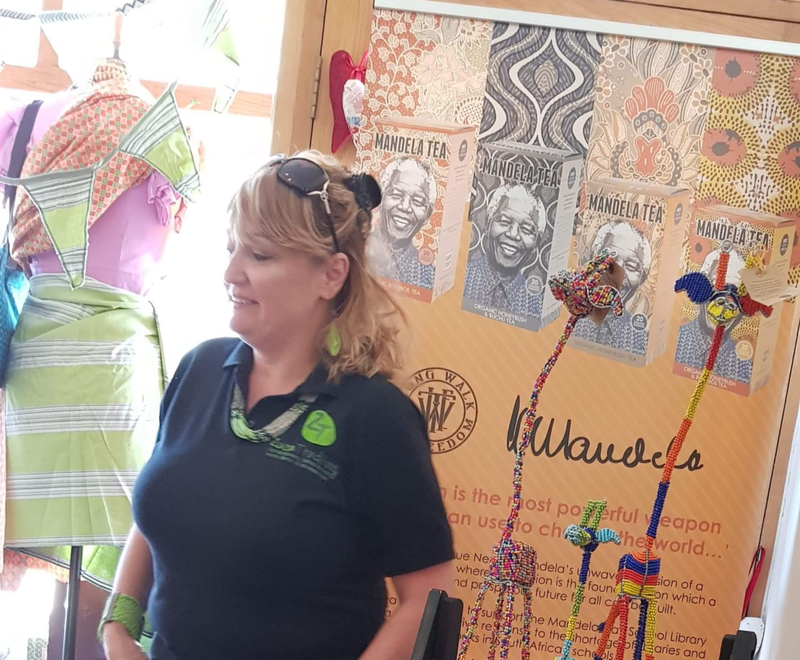 Mark Green meets entrepreneur Claire Shepherd who found a way to share the artistic ingenuity of her former South African compatriots. 'People across the world will be raising a glass and celebrating the centenary of his birth of Nelson Mandela next month. In the UK, we'll be able to mark the occasiom by traising a cup - or mug - of tea with his name on it. 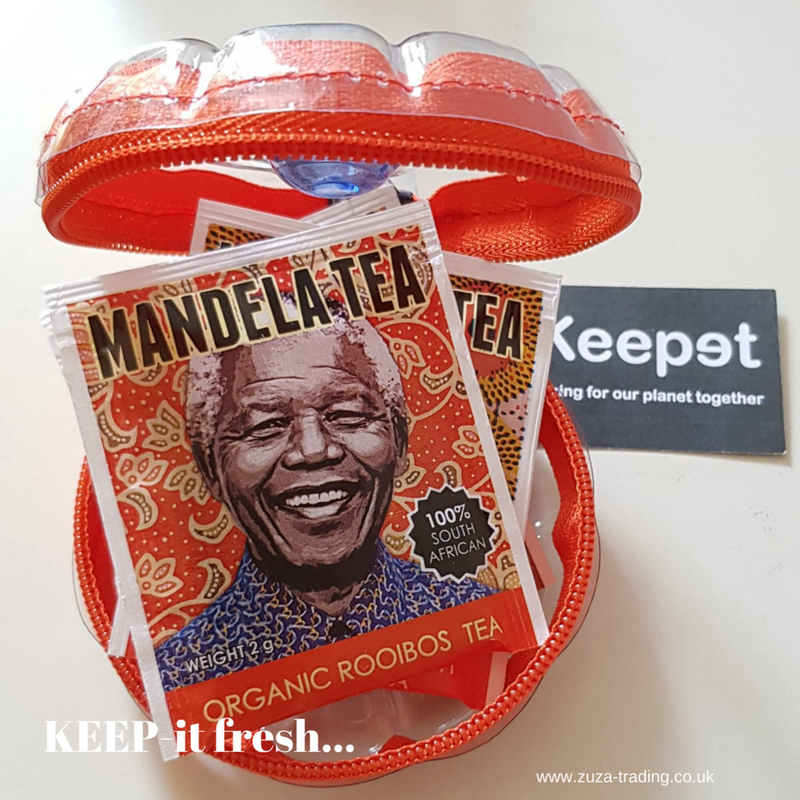 MANDEKLA TEA has been sanctioned by the family of the legendary anti-apartheid campaigner and former President of South Africa and is only imported to this country by one small Cumbria company. JUST ARRIVED in the UK! MANDELA TEA is distributed by ZUZA Trading who are proud to exclusively bring to the UK this brand new product, endorsed by The Mandela Foundation, which is a huge honour. The tea is produced by Cape Tea Co.
Cape Tea Co. is an exciting company in the organic tea industry, specialising in the production of premium tea products and all of our organic tea is indigenous to South Africa. 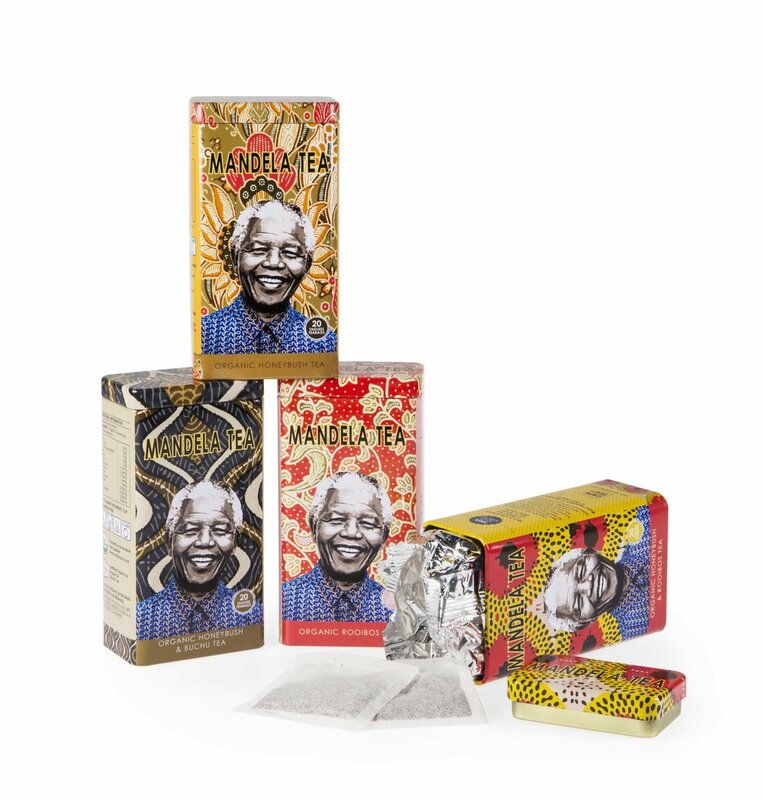 In collaboration with The Long Walk to Freedom brand, Cape Tea Co. is now unveiling the Mandela Tea range of organic packaged tea products in the UK. Sourcing the best ingredients from various regions in South Africa, The Mandela Tea range offers the best organic tea packaged products in today's market. - Mandela Tea contains an abundance of minerals essential to maintain health, well-being and a healthy immune system and active mind. - Mandela Tea uses a range of teas indigenous to South Africa and are of the highest quality. - A portion of proceeds from each box of Mandela Tea directly benefits the Mandela Day School Library. -Mandela is available in 4 flavours: Rooibos, Honeybush, Honeybush and Rooibos, Honeybush and Buchu. It is 100% organic and caffeine free from indigenous South African plants. - A portion of the proceeds from each box of Mandela Tea directly benefits THE MANDELA DAY SCHOOL LIBRARY project, helping to continue giving thousands of disadvantaged children across South Africa access to books and knowledge. During 2017, a partnership arrangement was set up between Zuza Trading and West House (a charity based in Cumbria). The West House Charity does amazing work providing support to adults with learning disabilities. Zuza Trading and is delighted to be able to provide opportunities to clients from Wests House to enable them to become “employment ready” and to ensure that our products are checked, tagged, bar-coded and packed, ready for delivery to our customers all over the UK and Europe. Sean Burke and Kane Towers have done amazing work helping us get our products ready to go to the customers. Exciting online news! We recently launched our new E-Commerce Shop. You will be able to purchase most of our most popular online products directly from www.zuza-trading.co.uk. Just click on the shop and view all the goodies we have available for online sales. We will run specials for online sales only so make sure you keep looking at the shop, you never know you could pick a real bargain! Once orders have been placed and paid for we will get them to you in 5 working days. Below are some of the items currently on the online shop. Some of the recycled Shwe Shwe products available. All products sourced by Zuza Trading are done so with the above principles in mind.